The following is a Press Release that came into my inbox. I somehow doubt that the mainstream media will cut and paste the whole thing – so that’s what I am going to do. TERRACE, BC, September 1, 2016 – Northwest Aboriginal nations have emerged from two days of meetings with the federal government demanding that its “deeply flawed” environmental assessment of a massive LNG proposal be delayed, in light of unfair and incomplete consultation with affected First Nations. “CEAA (the Canadian Environmental Assessment Agency) has fundamentally misunderstood its fiduciary obligations to meaningfully consult the proper title holders,” said chief negotiator Glen Williams of the Gitanyow Hereditary Chiefs. A powerful alliance of hereditary leaders from Gitanyow, Heiltsuk, Lax Kw’alaams, Gitxsan, Takla Lake, Lake Babine and Wet’suwet’en Nations made it clear to CEAA through a series of meetings in July and August that plans by Malaysia’s state oil company, Petronas, to build a $36-billion liquefied natural gas pipeline and an export facility at the mouth of the Skeena River cannot and will not proceed without their support. 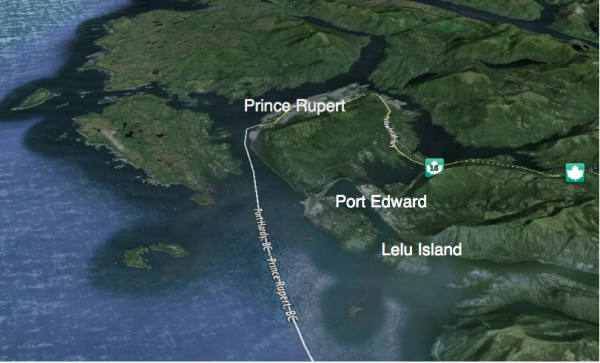 Despite pressure that Premier Christy Clark is exerting on the Trudeau government to decide in favour of the Pacific NorthWest LNG project in the coming weeks, northern First Nations are demanding an extension of at least four months to the CEAA process so that full consultation can occur. It was a message delivered loud and clear during this week’s two-day meeting with CEAA in Terrace. Presentations were made to CEAA regarding scientific data collected from several studies that confirm the uniqueness of salmon habitat at the mouth of the Skeena River, which is unlike any other area on the Canadian Pacific Coast. The Skeena is the second-largest salmon producing river in the country, and the estuarine ecology of Lelu Island (the site of Petronas’ planned gas hub) and Flora Bank (where Petronas plans a shipping facility) is unique, and uniquely fragile. Independent science, like that of Dr. Patrick McLaren, a geologist and leading expert on sedimentation dynamics, showed that if an LNG tanker berth was placed near Flora Bank it would cause irreversible damage to one of the most productive juvenile salmon nurseries in the world. McLaren’s testimony called into question evidence provided by the proponent, which grossly understates the impacts PNW LNG would have on already stressed salmon stocks. “The risk from losing the sand from Flora Bank is far greater than the risk of accepting that no harm will come to Flora Bank,” Dr. McLaren said in his presentation. Instead of trying to convert the pdf documents into text that is then pasted into the blog engine, I am posting them as pdf files which you can either download or read in many browsers.